A current project being worked upon by Leigh Electrical in Brentwood. 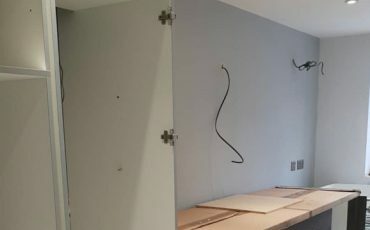 The project is a kitchen electrical outfitting and at present involves the running of numerous cables to connect the lights, switches, sockets, appliances and ventilation systems. 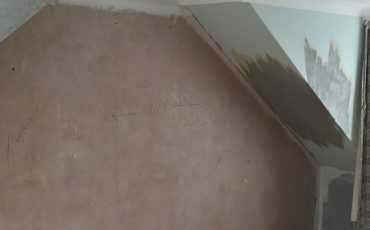 As we have to work around a multitude of other trades who are working on the revamp of the kitchen, the completion date is not for anothe rmonth or so. Once the project has been completed we will upload additional photographs of the finished project. Please follow these links to learn more about the range of domestic electrical services that we offer at Leigh Electrical. 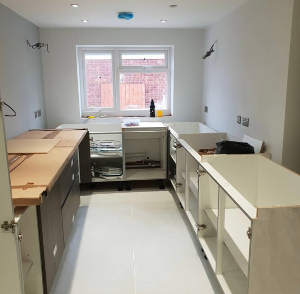 These links will also show you a variety of finished kitchen projects that we have completed in both Westcliff-on-Sea and Southend-on-Sea. 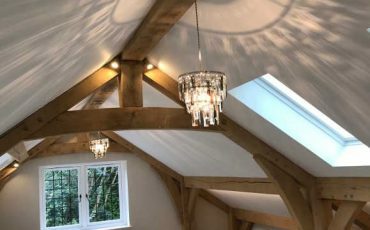 Our electricians operate 7 days a week in the Brentwood area and we also offer a full NICEIC backed 5 year guarantee on all the electrical works we complete. The quote below is similar to hundreds more on Checkatrade, Trusatrader and Yell that have been left by our previous customers describing the level of service, value and workmanship provided by Leigh Electrical. For further information regarding the services the we offer in Brentwood and the surrounding areas, please select one of the options below or simply dial 01702 873350. Why Leigh Electrical For Brentwood Kitchen Installations? Leigh Electrical have a reputation for providing an outstanding level of service and professionalism and have been entrusted to complete electrical works in hundreds of kitchens throughout Brentwood and Essex. All of our work comes with a NICEIC backed 5 year guarantee. We operate in and around Brentwood 7 days a week and provide all quotes free of charge and will gladly attend your property in the evening if this is more convenient for you. 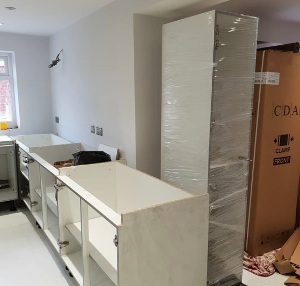 There is no aspect of kitchen electrical work we cannot complete and will gladly liaise with the other trades involved in your project to ensure a swift and professional conclusion to your works. Having been established for over 50 years, you can be rest assured that all of the wiring, ventilation, lighting, sockets and appliances within your kitchen will be installed expertly. First phase kitchen wiring in electrical refit of kitchen in Brentwood. For a free quote please call Leigh Electrical on 01702 873350.